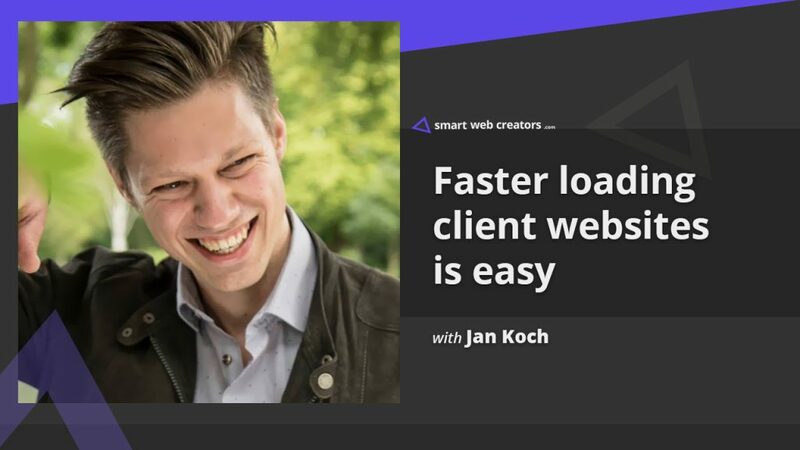 Making client websites faster is the focus area for Jan Koch from WPMastery. He follows systematized approach to identify slow website causing bottlenecks. Fixes for making the website faster are applied in combination of custom code, CDN, plugins and hosting environment improvement. You have stopped doing client websites and now going all out on offering the website speed optimization service. What was the reasoning behind this shift. How do you use the systematized cold email outreach process to find new clients for the speed optimization service. Do you have a team of people that deliver this service to end-user clients. How do you explain the importance of a faster website to average clients as this is a difficult task considering majority clients are blinded by just two tasks, a good looking website (which is the design) and getting the website developed. What do you do on the first contact with your prospective lead for the speed optimization service? Do you proceed with the free consultation or straightway offer a paid plan for the service. What tools or methodology do you use to analyze the current status of a website with regard to its loading speed. Once you have identified items causing slow website speed, do you get back to the client for a customized quote for the job or you offer productized service, like one price package with specific work items. Have a noticed a pattern of specific items causing slow loading speed in the majority of cases. How you start with fixes, do you clone an existing website or directly apply fixes on the live website itself. If web hosting is causing the slow speed, do you do website migration to a better web hosting in those cases. Which WordPress plugins do you use for speed optimization like for cache, minification, gzip compression, image optimization and so on. Is there something specific required to speed up resource intensive websites like a WooCommerce shop website. Do you educate clients what all has been done to speed up the website. Do you provide any documentation or video training for further self-maintenance of a website like clearing cache etc. Is this a one-off service or do clients also come on regular retainers for a regular speed check analysis and fixes. He is based in Germany serving clients all over the world. He works with a local website agency handling client website projects. Also, he runs a niche website speed optimization service helping in faster loading of websites. You can find more information at his official WP Mastery website.